I love your confession. I DO remember that story now and it's a good one. I'm sure we all have stories like that, but I have sufficiently suppressed all of mine. Last night I went to see a great performance at the Kennedy Center. Lucy, Allie and I saw Ann a one-person play written by and staring Holland Taylor. You know, THAT actress who's in EVERYTHING, but you can't think of her name. The play is about Ann Richards, former Governor of Texas and is an insightful look into her life and Texas Big personality. 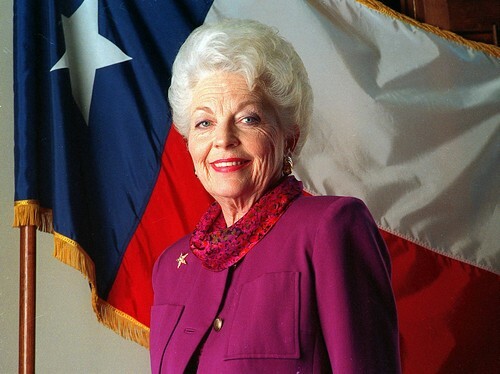 I never met Ann Richards, but it seems to me that Taylor did a terrific job of capturing her essence. Her sense of humor, her drive to serve the state of Texas and the roller coaster ride that was her life. I also thought Taylor had a great accent. I'm no Texas accent expert, but I am pretty picky about southern accents in general, and I thought she nailed it. My favorite line of the show: "You haven't LIVED, until you've been governor of Texas!" For our readers in DC, Ann is only playing through January 15th, so book your tickets! And if you're not in DC, hopefully Ann will come to a city near you! You don't have to be a politico to appreciate this performance. Catch a video of Holland Taylor talking about the research she did before writing this play. And here's an article in the Washington Post about the play.